The first published facelift operation was written in 1901 by Eugen Hollander, a German, who was convinced by a persuasive Polish aristocrat to operate on her aging face. It is reported that he did a simple skin excision that was the basis of the facelift for many years into the future. Another German, Erich Lexer, is reported to have done more of a “lift” operation in 1916 and is given the credit for the first facelift by some. Across the Atlantic in America, a self-proclaimed general surgeon name Charles Conrad Miller, M.D. from Chicago published a 263-page treatise on cosmetic surgery titled: Cosmetic Surgery: The Correction of Featural Imperfections. 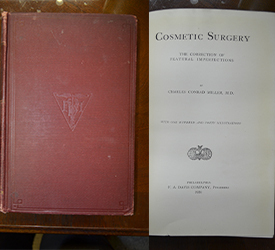 Over the expanse of 263 pages are 140 illustrations covering almost the entire subject of cosmetic surgery as it existed in 1924. He saw cosmetic surgery as part of a societal evolution of the “beauty parlor” mentality in America. He believed correctly that cosmetic surgery was complicated enough that practitioners should be specifically trained in this new field of surgery. Many of his operations are not substantially different from facial rejuvenation surgery as practiced today. Miller anticipated the role of facial muscle animation in the creation of facial wrinkles devising a number of operations to weaken the offending muscles to improve the appearance of the wrinkles. This simple idea is the basis for the billion dollar Botox industry we have today. America has suffered through two world wars which have one thing in common as related to plastic surgery. During both wars quantum leaps in medical and surgical expertise resulted from the numbers and severity of injuries sustained by our soldiers. After World War I, Sir Harold Gillies, M.D., a New Zealander by birth, who practiced plastic surgery as an ENT doctor in London was the primary surgeon to thousands of soldiers injured during the trench warfare in Europe. There was a predominance of facial gunshot injuries cared for by Gillies and his team of European and American surgeons. Gillies published his first textbook called Facial Plastic Surgery in 1920 cataloguing his surgical experience during the war. Gillies parlayed his war experience and fame into a lucrative cosmetic practice drawing patients from around the world. 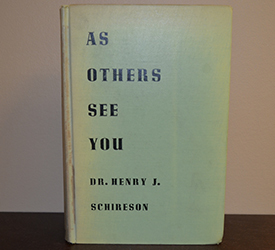 In 1923 the worlds of cosmetic surgery and entertainment were thrust into the spotlight when notorious cosmetic surgeon Henry J. Schireson, M.D. performed a rhinoplasty on Ziegfeld Follies star comedienne Fannie Brice in a hotel room in New York City. The operation was no secret, in fact, it was intended as a publicity stunt from the very beginning. The operation had the intended effect according to Brice’s biographers. Fanny Brice’s nose job generated more press attention than any other medical event of that time and made Dr. Schireson into the rock star plastic surgeon of the day. The most popular cosmetic surgeries of the twenties and thirties were the facelift and rhinoplasty which caught the attention of the motion picture industry as a number of movies with famous actors were released during this period. The number of so called “beauty quacks” now practicing and their surgical mishaps was one reason the American Board of Plastic Surgery was formed in 1937. The leading surgeons of the time were all members and tried to ride herd on the “beauty quacks” who many thought were adulterating plastic surgery, particularly the facelift and rhinoplasty operations. After WW II, plastic surgery experienced another resurgence as the plastic surgical heroes of WW II returned having sharpened their skills during wartime. Many of these surgeons spread out over the Country and started plastic surgery training programs in places like Atlanta, New York, and Kansas City. Problems with publicity, profit and advertising continued to arise causing friction between those who received their imprimatur from the American Board of Plastic Surgery versus enterprising practitioners with varying degrees of medical and surgical training who were busy staking their claim for patients in this growth industry. Rogue practitioners existed then as they do today, extolling an expertise without training and coercing patients by questionable advertising, the publication of self-promoting manuscripts and books, and even public displays of their facelift and rhinoplasty operations. The facelift operation continued to evolve, albeit slowly, with no break- throughs until the 1960’s when T. Skoog from Sweden as well as several Americans changed the facelift to include deeper tissues and a new description of the deeper tissue anatomy (the SMAS) instigated originally by Paul Tessier, M.D. of Paris, France. The later years of the 20th Century visited slow, small improvements in the facelift operation usually based on a better understanding of the pertinent anatomy, better techniques of anesthesia and better technology such as liposuction and later endoscopy. One seminal discovery was quietly published in the late 1960’s by D. Ralph Millard, M.D. who was the first to describe the removal of fat from the neck of obtain an aesthetic improvement in this part of the facelift operation. Anatomically based operations for the face and eyelids evolved into major surgical interventions causing long periods under general anesthesia, long recovery periods, sometimes massive bruising and swelling, and a price commensurate with the degree of difficulty of the facelift. At the dawn of the 21th Century it seems that surgeons may have “over thought” the operation. The cost was too high for most people to pay. In the last decade, plastic surgeons again began to listen to their patients who for the most part are not wealthy and who usually are middle class with careers and jobs to return to. This necessarily limits the cost and the downtime required, but did not diminish the desire for a long-lasting, affordable, minimal downtime facelift. The 21st Century has witnessed the dramatic inclusion of corporate dollars and technology into the cosmetic industry. 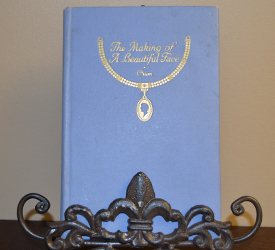 The “beauty business” as it was once called has evolved into a multi-billion-dollar industry which has expanded well beyond hair and nail care to include a plethora of devices and chemicals created to reverse the signs of aging skin. The weight loss business has also flourished in parallel to the constantly evolving societal pressure to maintain a healthy state of youthfulness and fitness. With so much money at stake, it is no wonder that big business has flooded the consumer market with thousands of competing products backed by Wall Street advertising campaigns. Many of the new and exciting products required the imprimatur of physicians and even some require a prescription for purchase. The medical and surgical practitioners were slowly becoming the employees of major consumer product and pharmaceutical companies. The money and power which once resided with the doctors was now invested in the insurance companies rather than the practitioner. The battles are not fought between doctors rather the doctor versus corporate money and insurance carriers. Many see the near future as a time when facelifting will become more personalized, less invasive, taking advantage of plastic surgical and anesthetic advances to control costs and downtime rather than to increase the complexity and complication that complexity implies.